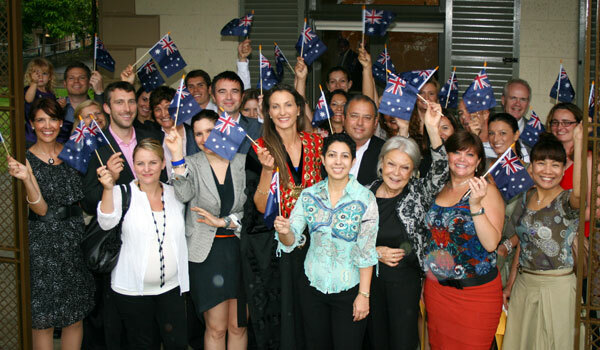 Becoming an Australian citizen is a very special occasion and is something to celebrate. Australian Citizenship represents formal membership of the community of the Commonwealth and is a common bond, involving reciprocal rights and obligations, uniting all Australians, while respecting their diversity. The ceremony is the formal part of the Citizenship process. You become an Australian citizen on the date you attend the citizenship ceremony and make the Pledge of Commitment to Australia. Once you have received your letter from the Department of Home Affairs inviting you to attend a Citizenship Ceremony at Woollahra Council, please be sure to bring along your letter and a current form of photo identification such as a driver’s licence or passport. Please note that Council only host the ceremonies. To enquire about your ceremony date, please contact the Citizenship Information Line on 131 880. For further information regarding Australian citizenship including ceremonies, applications or general enquiries visit the Citizenship website or contact the Department of Home Affairs on 131 880.